Extend and customize your existing LIFX Z Starter Kit up to 10 meter in length with 1m extensions. Please Note: Requires a LIFX Starter Kit to operatate. Stock is hot right now. Find out where you can buy LIFX. Extend your LIFX Z LED Kit up to 10 metres per controller with LIFX Z LED Strip Extensions. 0.5m cable from Power Plug to Controller Unit. 2.0m cable from Controller Unit to LED Strip. 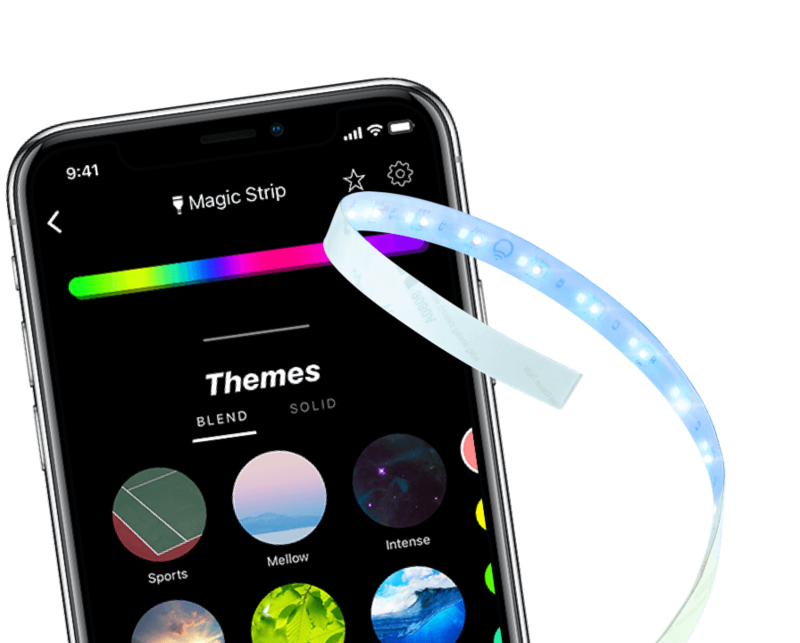 When will I receive my LED Strip? For orders shipping to the UK please allow 1-2 business days, or for the rest of the EU 2-6 business. For further information check the delivery page. What is the maximum amount of strips I can connect per controller? One controller supports up to 10 LIFX Z LED Strips for a total length of 10 meters. LED Strip is not suitable for outdoor use or exposure to wet conditions. This also means it is not suitable for use in bathrooms and other areas with high moisture levels.